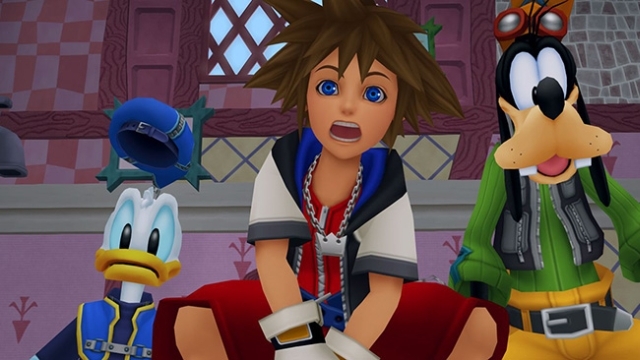 Kingdom Hearts HD 1.5 Remix coming this September! The Kingdom Hearts HD remaster finally gets a release date as players will be able to replay the magical journey and take control of the chosen Keyblade wielder Sora and friends this fall. The ps3 collection contains previous japanese exclusives Kingdom Hearts: Final Mix and Re: Chains of Memories. HD 1.5 Remix also features cutscenes from the DS game 358/2 Days in full HD. Kingdom Hearts HD 1.5 Remix will be coming to North America on the September 10th and of course as expected, a couple days after to the UK on September the 13th. Kingdom heart fans can rejoice while newcomers can experience the magical world of Kingdom hearts, but in full high definition. Fans who Pre-order the collection will get a complimentary art book. Bring it on! I am so excited for this. I never got very far in the original, so this series will basically be a new experience for me. Day one buy for sure. Seeing as how I'm a Kingdom Hearts nut, I've already had it pre-ordered. So preordering this, I can't wait to play this again woooooooo! Now hurry up with FFX HD and I'll be sooooo happy. If KH 2 HD includes BbS, I will buy that with the quickness so I can...wait what am I talking about...I will finally have KH1 in HD!